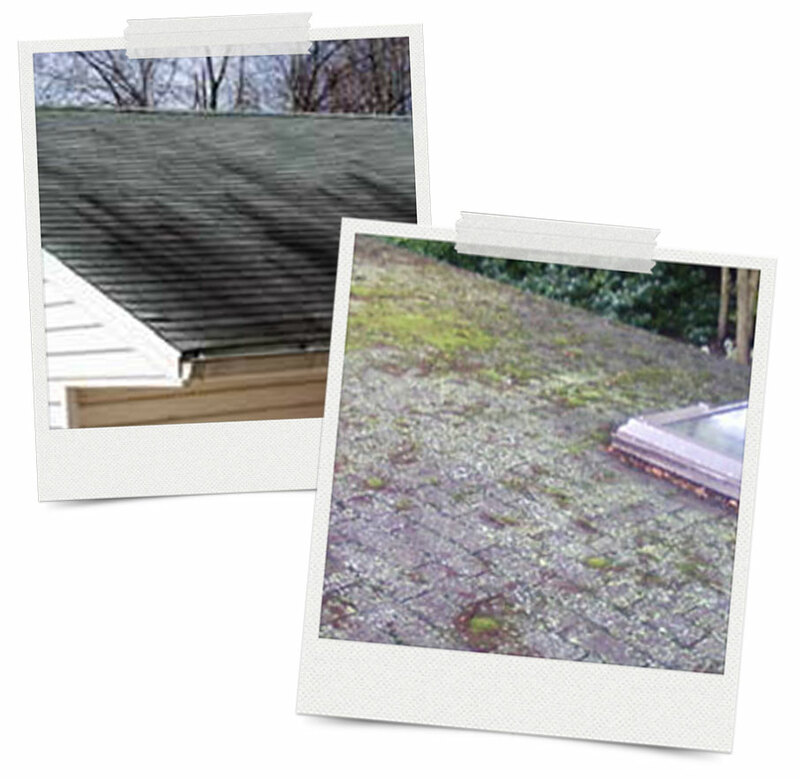 Take a simple test to see if those streaks and stains are damaging your roof. Everyone agrees that roof stains are ugly, but most people don’t know how destructive these stains are. Hundreds of field tests have confirmed this. Home inspectors perform granule loss test for shingle roofs. You can try either of the following methods on your roof. Method #1 is a visual inspection of the gutters. 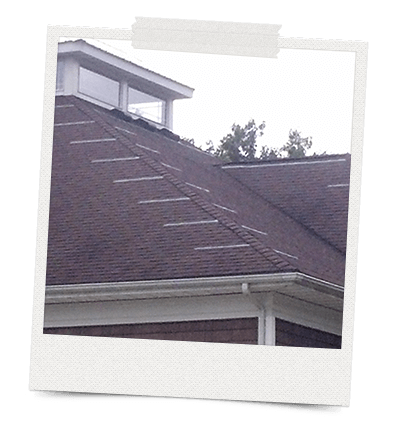 Where black streaks are present, excessive lost granules accumulate in the bottom of the gutter. In some cases, the entire bottom is covered! Now, inspect the gutters where no problems are apparent. There are very few granules to be found here. Seeing is believing. Why? Protective granules are being loosened by stains. Permanent damage can result to any roof in less than 7 years! Most importantly, shingle manufacturers consider these stains a condition of the environment, and not a defect of the shingle. Therefore, the warranty does not cover this type of damage. The homeowner is on their own. Unless you just enjoy buying a new roof on occasion, you’ll need a roof cleaner to keep your roof clean. Method #2 is called a “Pick Test”. Used by shingle manufactures to calculate “adhesion percentage”, it simply shows how many protective granules stuck to the shingle, and how many fell off during manufacturing. Take a flat object, such as a block of wood and wrap tape around it so the sticky part is facing outward. Now press it firmly against the shingles where stains are present. Take several samples to get a good collection of data. Now, repeat the test where no stains are present. When finished, the difference in the samples should be visibly apparent. If not, you can painstakingly count the lost granules and log the results. If caught in time, roof damage is very easy to prevent. You guessed it. Samples taken from stained areas contain far more lost granules than the non-stained samples. One of these simple tests will prove that stains are destroying your roof. Once the protective granules are lost, the roof is ruined. Here’s the good news: If caught in time, roof damage is very easy to prevent. Our product stops the progression of roof stains on contact! We don’t install zinc strips. Basically, I don’t think they work well enough to justify the cost and I don’t want to sell you something and have you disappointed with the results. This picture pretty much tells the story. Any company selling you a preventative might as well be selling you a bag of beans. Roofs are made to drain anything you put on them. Therefore, any liquid applied to your roof will rinse off almost immediately in the first rain. We guarantee our treatments for two years and tell our customers that they will last between 2 and 5 years, depending on the micro climate of your house. Tri County Roof Cleaners uses a soft wash to treat and clean your roof. We do not use pressure as this will harm the shingles and can lead to pre-mature shingle failure. We do NOT do estimates using satellite photos or Google. 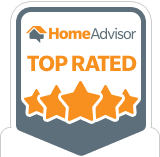 We visit every house to personally inspect any issues you may have with your roof or landscaping. We want you to know exactly how the treatment process will work for you and your home. Our process is recommended by the shingle manufacturers. Is approved by shingle makers GAF, Elk, and Owens Corning. Is biodegradable, won‘t damage your roof, and won’t void its warranty. Is safe enough to be sprayed on shingles without rinsing. This is ideal for maintenance and prevention of roof stains. The more you understand about the process, risks, and results, the more effective you’ll be in making your choice of a roof cleaning specialist. At the minimum, the professional you choose should be insured and should have a clean record with the Better Business Bureau. You should also check to make sure they are current with their workers compensation insurance.